The numbers were a mere formality, you are exceedingly enlightened of your strong, sturdy stems. Your closet is 92% tops, 8% bottoms. Of those 8%, 60% are skirts under which no one can determine the actual circumference of your thigh. Abomination is the noun you would use to identify skinny jeans. And, extraneous as this information is, your hip/waist is greater than 1.25 and your waist/bust greater than .75. Your most plentiful circumference lies below your navel. Feel free to exercise to your heart’s content (hearts like exercise). But when you are done, you’ll just be a smaller pear. And who’s complaining, lower figures imply divine fertility, and other popular prerequisites to fertility. Now don’t fuss and further tangle your Gordian Knot. We do too acknowledge your fashion snafu. It’s easy enough to outfit your northern hemisphere, but finding accommodations for the south that simultaneously skim your hips while clasping your waist is a super-stunt. (And may require the super powers of a fashion vigilante, who ignores sizing standards, roguishly crafting fashion justice for the benefit of helpless female bodies everywhere. This hero, this Tailor, can be found by those who search courageously for reliable recommendations.) Now back to what you can do in standard retail establishments.First remember, to never accessorize your fullest assets, let your hips articulate their own sultry poetry. This means avoiding large prints, bright colors, and fussy details on your lower half. Second, literally elevate attention. Feel free to apply bold colors, big patterns, and special particulars on your upper figure. Your master goal is to build out your dainty top half while adding mystery to your voluptuous bottom half. Aim for the end result of perfect proportions. Below is an ensemble example. 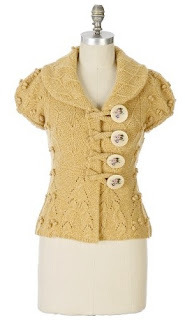 The Sylvan Scene Cardigan commingles the drama of gold wool, oversized buttons, and quaint bobble detailing. The romance of the sweater draws the focus to northern lattitudes, while the puffed sleeve stretches your shoulders several lines of longitude balancing them against the width of your hips. Coyly extending beyond the cap sleeve is the tone of your upper appendages. While the seaming neatly follows the line of your waist, flaring back out to skim flirtatiously over the top of your hips. The darker dye of the Level 99 Ariana Wide Leg Trousers mysteriously sheathes the lower half of the body. The line of the pant extends directly down from the widest part of the hip. In the seat, the yoke curves adequately to eliminate any gaping and ends in a slightly higher rise which cleanly clasps your waist. 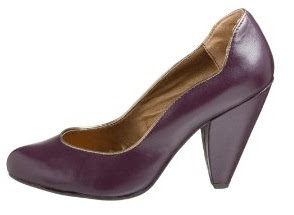 The cone heel on these Seychelles Outta The Frying Pan Pumps is a visual equilibrium to your powerful pedials. 1 hundred 98 cents = your own lower figured fashion look book cheat sheet. Procure your own empire constitution. Your personalized fashion look book includes your own lower figure rules of conduct and much more. Come back tomorrow for Fitting Room Friday and Linear Figured apparel. So I think we decided that before I lose my baby weight I’m a Pear. After, I’m the hourglass? Sound right to you? Oh, you are speaking my language! Nursing doesn’t even “even” stuff out from the top to the bottom! I am trying to come to grips with my pear-ness. I have seen the size 2 version – my little sister. Just like you said, just a smaller pear. Fat or thin, I’m a pear. And a SHORT pear to boot – all 4’10 1/2″ of me. I haven’t QUITE accepted the fact that I’ll always be a pear but I’m learning to dress in that manner. My closet is exactly as you have described only it holds 0 skirts and 10 pairs of Levis bootcut, low rise jeans. Thank God my shoulders are broad and my best feature (I think) because they do balance out my bottom half! I am curious to see what linear figured will be. Maybe my body type? who knows. 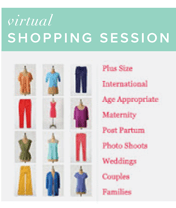 I just signed up for an email consult and I am so excited because I just came back form the mall. I purchased zero because I didn’t know what looked good on me. Seesh do I need help. Pretty sure I am a pear. A very tall pear. I just tried to copy the little pear thing for my blog and it isn’t showing up right. Could the code be wrong? D’Rae-Thanks for letting me know about the button code. You can know add this positive body declaration to your blog. Thanks. Can you tell me what the difference between an hourglass and a pear? Sassy Mom – an hourglass has a full bust and an equally full hip with a waist that is around ten inches smaller than both. 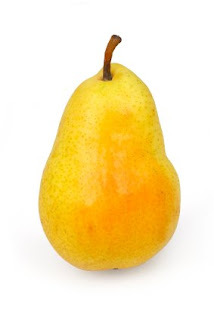 A pear has a fuller lower figure and a comparatively petite upper figure. Reachel – I am struggling with my measurements…I KNOW I am a pear but keep coming up larger number in the bust/waist than you mention is the “requirement”. I am only like this temporarily because while nursing this sweet babe does plump me up a bit, it is not a lot, but is enough to throw things out of whack. Also depends on when babe has eaten…So…do I still claim pear status when I am still nowhere near hourglass? Post baby bodies are their own illusive creatures. The measurements are meant to help, but if they aren’t confirming what you know from trying on clothes and the daily living of your life. Throw them out. Your body may temporarily be outside of it’s normal range because of your present maternal undertaking. Trust your instinct. Watch for a video on how to measure in the near future. Raechel, you are cute. I think after the holidays I must hire you! Meredith, those are fabulously cute. Thanks for the tip! I like the way you phrased things. It doesn’t seem so bad. I love cute springy skirts and you described my closet exactly. I will probably always be a skirt girl, but for those of you who just need a good old pair of levi’s try LEVI’s 529’s. I love them. I’m tall and even if I lost that last 20 lbs I’d still be a size 8, but these jeans fit great, hug the curves, dip a little in the front so you don’t look like your wearing MOM jeans, but they’re higher in the back and don’t gap around the waist and back. There is no way that the bust have to be 2″ or under in difference of each other for one to be considered an hourglass-you can’t say that someone with a 3 or 4 inch difference is a pear?! A pear is someone with maybe a 5″ difference or larger. Women aren’t strictly pears or hourglasses. Also, just because someone has the same bust and hip measurement doesn’t mean their waist is that small-a 9 or 10″ difference between hips and waist is not that much. By the measurement numbers I am a pear, but the shoulder measurements are never accounted for in sizing, and my shoulders are B R O A D, giving me a lot of width on the top half, just not from the bust. This makes ready-to-wear weave blouses and jackets murder. Should I dress my top half more like an hourglass? How do I dress around my shoulders?? I’m visiting from Tatertots and Jello. This is awesome! Those are lovely. Great blog! This is great! haha I am a Pear. I know I am tiny, but I am just a tiny pear 🙂 hahaha LOVE THIS! Well, well, my measurements were so close to hourglass that I thought that was it for me. But I am slightly more pearish apparently, based on the measurements. I do gain weight on top too though–breasts and arms. So I’m still not 100% sure. I’m really VERY confused and cannot wait for my look book!